The Word of Mouth for Won't You Be My Neighbor? Post Your Rating for Won't You Be My Neighbor? 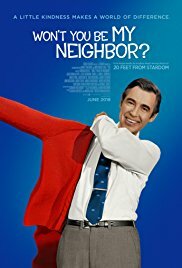 Post Your Review of Won't You Be My Neighbor? Please use the board below to post your review and comments about Won't You Be My Neighbor?.